View Durham NC homes for sale on the interactive Durham NC Real Estate Map. Durham NC is one of the Triangle area's most populated and popular cities. Homes in Durham range in price from $75,000 to the millions of dollars with country club or luxury homes. Durham's downtown area has seen quite a renaissance in recent years. Many of the abandoned tobacco warehouses were transformed into trendy loft style condos, office buildings, and art galleries. Historic neighborhoods in Durham have also gained in popularity the last 10 years. Check out some of the various Durham property searches in the sidebar to see first hand the real estate offerings in this rich and diverse city. Or, look further below at the latest list of homes for sale in Durham NC. For a custom Durham Home Search of Homes For Sale in Durham NC. Durham NC Real Estate Market Reports - updated daily with the latest Durham sales trends. 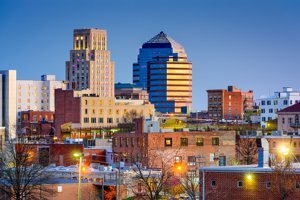 Things To Do in Durham - Learn about all the fun stuff do in Durham NC. Just starting your Durham property search? You should start with our custom searches below.